There you can see a table with paid membership packages created. 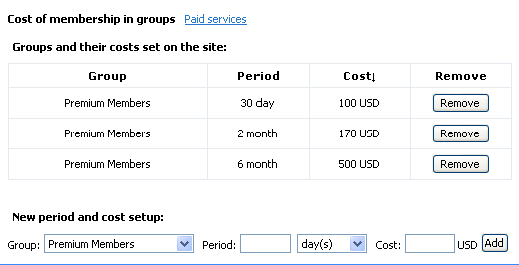 To add a new paid membership package enter period for membership, set cost and click ‘Add’ button. To remove a package, click ‘Remove’ against necessary package. 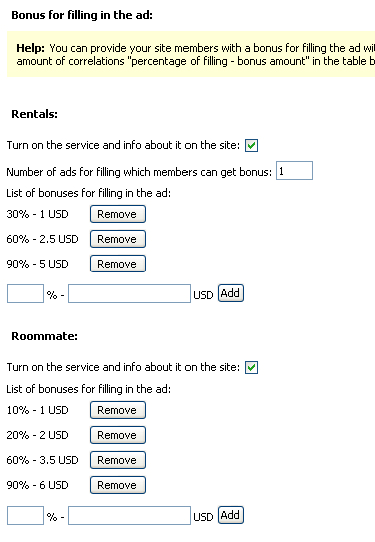 This area allows you to modify settings for payments among members, paid services (lift up service, slide-show, leader of the region), bonus system and pay per listing system. Option – ‘payments among members’. 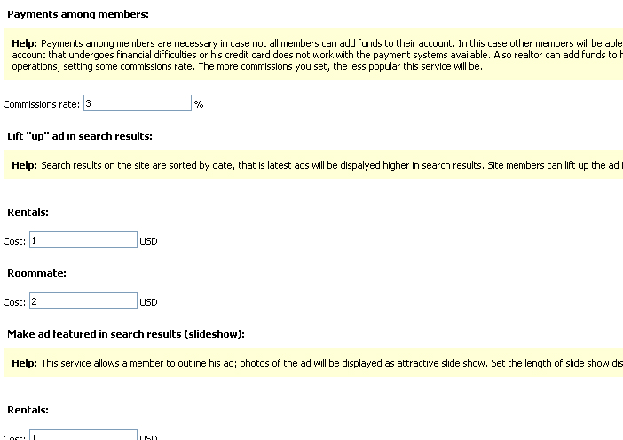 The option was created in case one member would like to add find to another member’s account. For example, a friend could add funds to his friend’s account that undergoes financial difficulties or his credit card does not work with the payment systems available. Featuring a listing. There are a few paid services available to feature a listing: slide-show, lift up service and leader of the region. 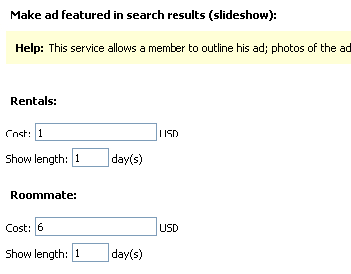 Slide-show service allows site members to create slide-shows for their listings from listing photos. 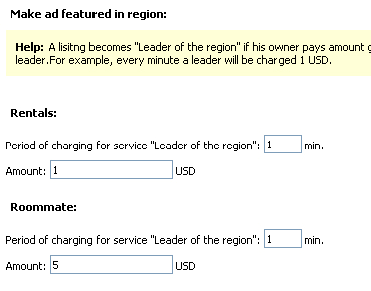 Leader of the region – An ad becomes “Leader of the region” if ad owner pays amount greater than preceding leader. 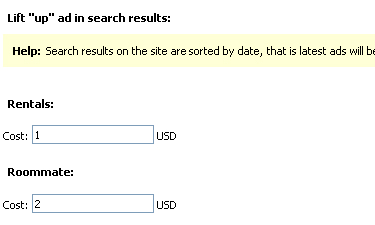 You can set a period for charging for this service so that your site members could outbid current leader. For example, every minute a leader will be charged 1 USD.